Now that the festive period is over we start to think about holidays. Everyone needs something to look forward to and for most of us that is a summer holiday. However more and more of us look to take some time out and relaxing weekend breaks are becoming more popular. There are many reasons for taking a weekend or midweek break, it may be for a family wedding, an anniversary or a birthday. It may be a weekend away with your partner. You may have been busy at work and just need a weekend away to recharge your batteries. For a family, small group or a couple the cost of hotel accommodation can be expensive and when you include the cost of meals out even for a weekend the credit card bills start to mount up. So here is an idea for a low cost short break which does not need to break the bank. 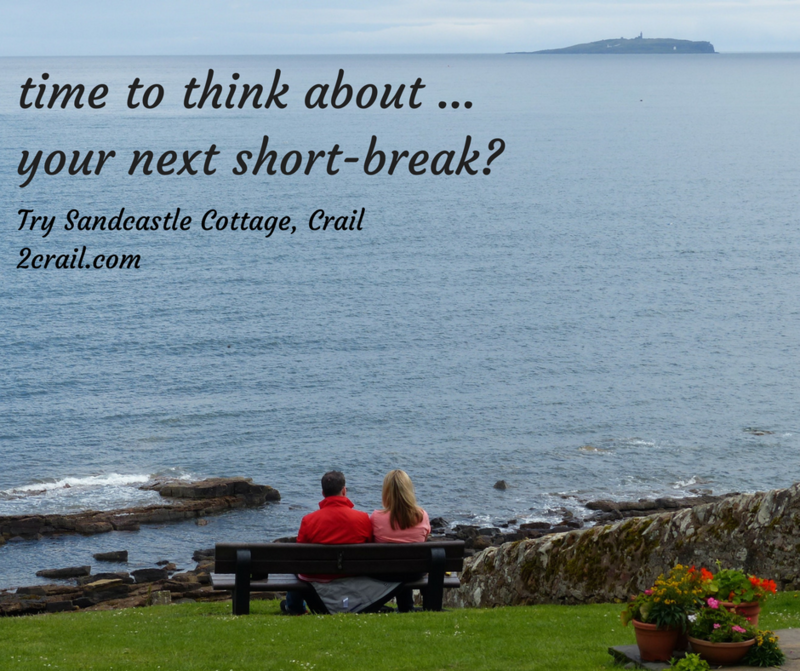 A weekend or midweek break at Sandcastle Cottage in the East Neuk village of Crail has many advantages. One which our guests like the most is the freedom to relax. No getting up for a 9.00am breakfast. Cook your own meals when you want. Go for a stroll along Roome Bay Beach which is only two minutes from the cottage. There is a good range of cooking utensils and crockery in the cottage enabling you to entertain. 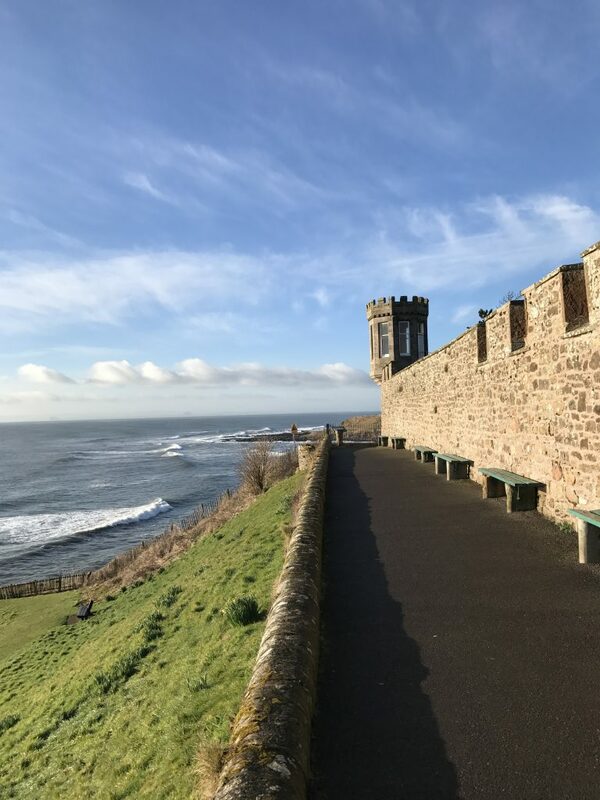 The cottage is five minutes walk from Crail High Street where you will find two convenience stores, a fruit shop/fishmonger, wholefoods shop, butcher, baker and pharmacy. At the harbour during April to October you can buy fresh crabs and lobsters. Click on this link for more details. If you don’t want to cook the Golf Hotel and the East Neuk Hotel serve lunches and meals in the evening. There are also three cafes serving teas and snacks. Crail Fish Bar offers a takeaway or sit in service. The East Neuk has two fine dining restaurants which are only a short bus or taxi ride from Sandcastle Cottage. The Cellar in Anstruther has one Michelin Star and Craig Millar at 16 West End St Monans are both excellent venues for a special occasion. The Bistro Dory at Pittenweem harbour is also well worth a visit and is open from the 27th of February 2019 onwards. The Fife Coastal Path is a pleasant walk even in winter. Clink this link for suggested walks. 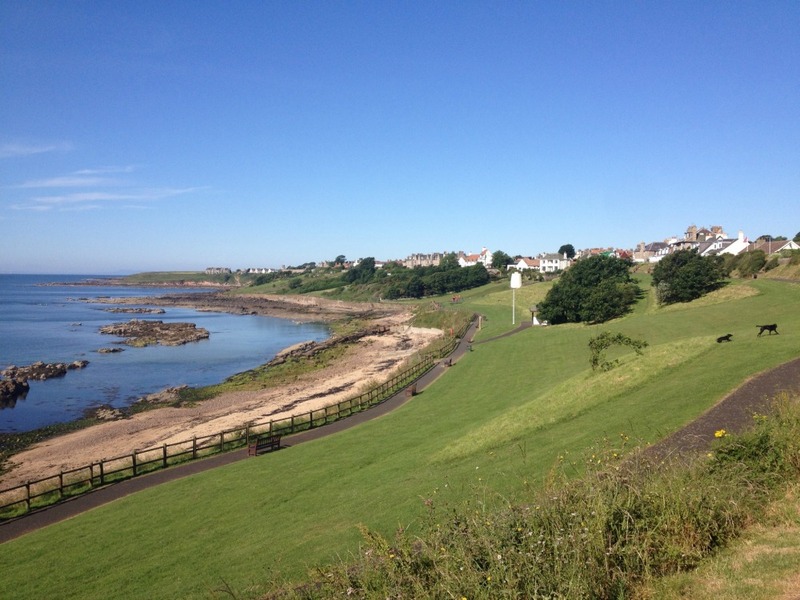 Visit Crail’s historic harbour which has been the set for a number of films over the years. Browse in Crail Pottery or Crail Gallery to find that special gift to remind you of your visit to Crail. 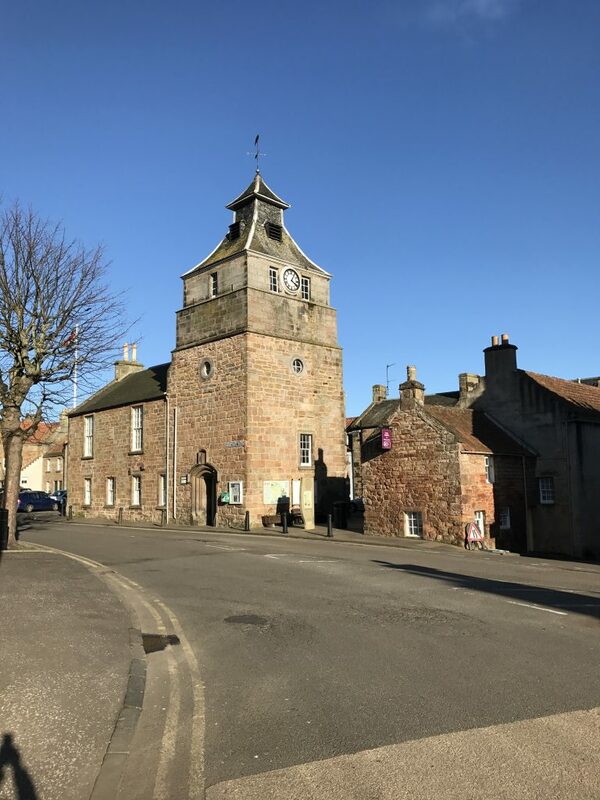 Find out about the history of Crail and its wartime airfield at Crail Museum and Heritage Centre. 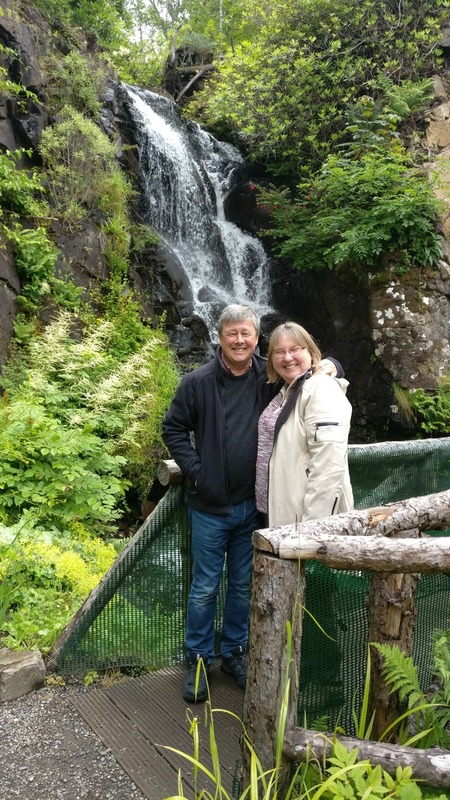 A visit to the Isle of May. Nature reserve opens on the 1st of April 2019. For information on sailings from Anstruther click on this link. Whenever you decide to visit Crail and the East Neuk of Fife you can be assured of a warm welcome. Our breaks start on Fridays or Mondays. For details see our website or click the link below.